Dog Surfing is turning into an International Sport! Dog Owners all over the world picking up on all the fun. Kai is a male Chocolate Border Collie who lives near J Bay, South Africa. He is just learning to surf but looks like he'll be ripping up the waves in no time. Here's a cool video of Mateo the surfing pup getting barreled in Costa Rica. He's surfing surfing out in front of Witch's Rock Surf Camp! 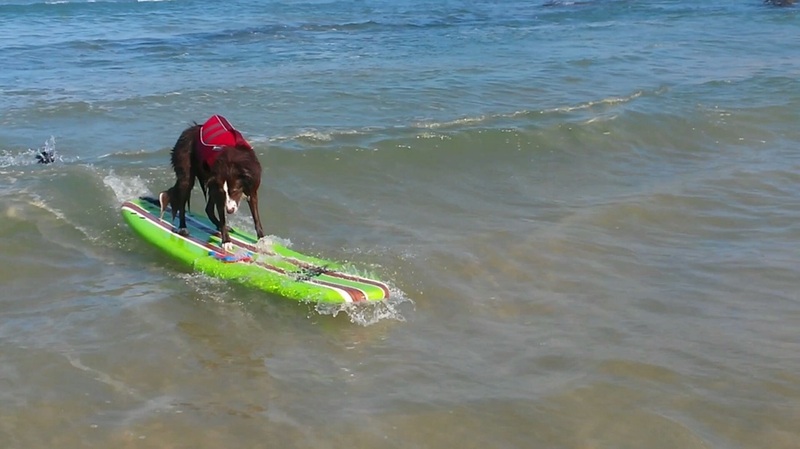 Here's a hot surf dog ripping it up in Portugal!